Another Major State in India Is Banning Plastic Bags! Maharashtra, India is set to ban plastic bags within the state limits starting during Gudhi Padwa, the traditional new year of Marathi Hindus, in March-April 2018. The ban will be the next big step towards alleviating the plastic waste problem in the area after the 2005 ban on bags below 50 microns. 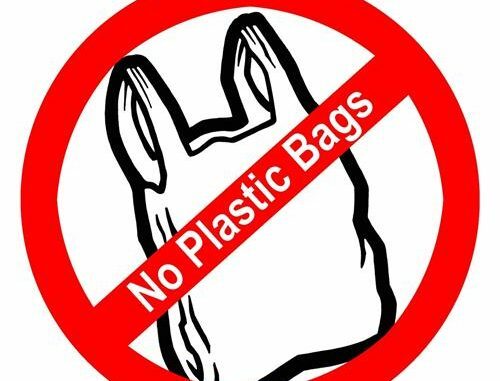 Maharashtra environment minister, Ramdas Kadam, has set a target to forgo all plastic bags in the state by next year. According to Hindustan Times, the decision was discussed by The Shiv Sena minister along with other senior bureaucrats and ministers at the Mantralaya on September 12, 2017. The minister now plans to hold meetings with all municipal corporations in the state in order to discuss the new legislation. Kadam also pointed out that the initiative is going to be publicized through the media, including All India Radio, FM radio stations, and Doordarshan. The prior ban on plastic bags below 50 microns introduced by the government into effect after a massive deluge that had claimed several lives in Mumbai and its suburbs. After the recent torrential rain and flooding in Mumbai, Shiv Sena chief Uddhav Thackeray called for a complete ban on plastic. With the new legislation, the state of Maharashtra has become the latest area to ban single-use plastic bags. Similar bans have been steadily gaining more and more publicity all over the world and have been implemented in many cities and states in a number of countries. Every year, around 8.8 million tons of plastic end up in the oceans. Non-biodegradable plastic is not only visibly polluting the environment but also posing a real threat to countless marine and land animals – and we are not spared from its direct influence either. Together with the increasingly valued idea of plastic bans, comes a significant alleviation of the plastic waste problem – and a hope that the trend is going to be continued and the legislation introduced by a growing number of countries in the world.